Among a cluster of eccentric personalities that found their way behind movie cameras in the recent years, few have developed the notoriety of poor Tommy Wiseau. His is an identity that seems like it might have been invented in a laborious, almost masochistic imagination; soft-spoken in what could be a muddled Polish accent, here is a man of suspicious origins (not to mention independent wealth) who found success in San Francisco as an entrepreneur, possessed fragmented visions of grandeur and went on to fund his first movie entirely out of pocket in a time when independent cinema ebbed high in public demand. 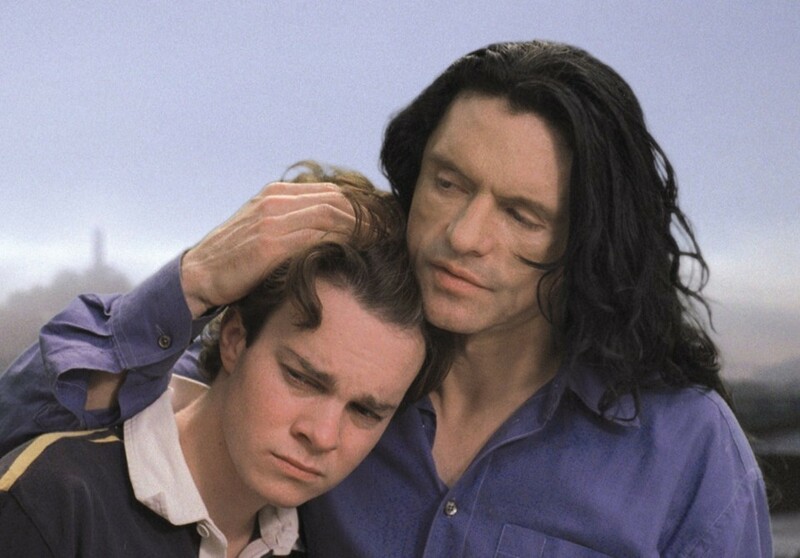 That result, “The Room,” has earned infamy as one of the most legendary aberrations of recent times, inspiring eventual cult status and ongoing obsessions in the minds of those who gravitate towards the common fodder of midnight movie revivals. Their reasons are not difficult to decipher; the mess before them was so utterly miscalculated in its inconsistent spontaneity that one could only laugh at the result, however uncomfortably. Even Ed Wood only went so far in his ridiculous indulgences. But is anyone who experiences Wiseau’s passion piece really admiring the disaster before them as some kind of audacious endurance test, or are they laughing at the expense of someone who doesn’t appear to know better? The space inhabited by the characters in “The Devil’s Rejects” is a laboratory of unconventional challenges, of ambitious morality tests not ordinarily reserved for an ensemble of would-be horror movie casualties. Its existence comes down a tricky gimmick seized by Rob Zombie, the writer/director, who finds an interesting platform to stage the events on – one in which homicidal maniacs are hunted by a legal authority who seems driven by the same barbaric tendencies as those on their own killing spree. Driven earnestly by a mission he refers to as the “cleansing of the wicked,” this maniacal force – a Sheriff known as John Wydell – strikes a chord in others that clouds the certainty of a horrible act with that of a deserving retribution, and both sides of the equation meander in the outskirts of their inevitable confrontation like they are hoping to avoid the central point. That is not to say the movie itself is evasive about the issue it raises, but more to suggest the discomfort from asking the difficult question: when you castigate those who have committed heinous crimes with the same level of depravity, are you any better than those you punish? 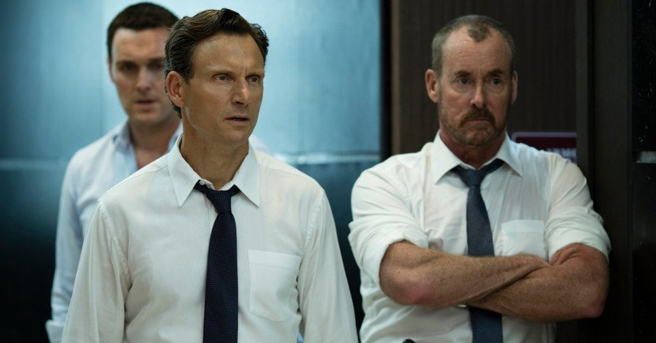 I may be going out on a limb when I suggest that “The Belko Experiment” has been manufactured by motivated filmmakers. Clearly molded in the image of the recent “Purge” series – where the scares are brought on by social and political unrests – here is a film that so agonizes over the effort to marry its violent nature with discussion-worthy contexts that there is little reason to contemplate skepticism. Someone high up, be it Greg McLean (the director) or James Gunn (the writer), was tapping into the most pointed trend of the times. But if I was paying attention to, say, a random soliloquy in one of the great Shakespeare tragedies, does that also mean I’m a fluent practitioner of the language? Can I turn around and recite the famous words of Hamlet while understanding the metaphorical nuance behind the conviction? A horror movie may not be in the same league as Shakespeare, of course, but there’s just about as much divide between those comparisons as there is between the concept of this movie and reality of those it imitates. A greater genre endeavor about the political ramifications of its terror will drive the point down to the guts of an issue, leaving one to contemplate the argument as their senses recover from an assault. 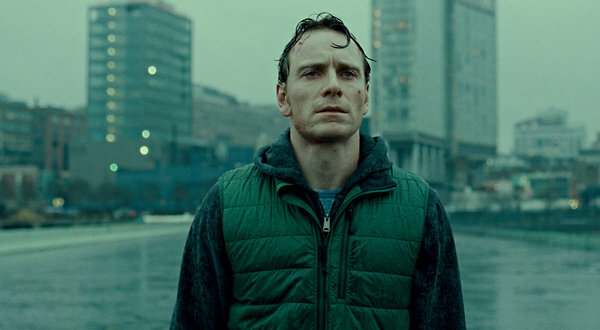 What goes on in the frames of this film plays like an understanding of procedure but nothing of soul.